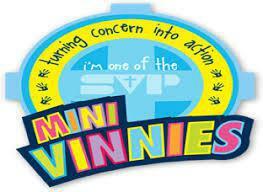 Today the SVP England & Wales is pleased to highlight its continuing strong links with young people, through the development of its 'Mini Vinnies' programme - a ground-breaking Primary Schools initiative, based on good work done in Australia, piloted in the Diocese of Shrewsbury, and which is seen as having, "the potential to significantly contribute to the future of our Society." 'Mini Vinnies' are children, who with the support of their Schools, are encouraged to embark on their first steps as possible 'Vincentians for life'. As Mini Vinnies, the youngsters have their own 'treasured' Prayer, Pledge and Badge and a dedicated website.